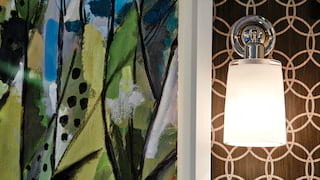 Unabridged elegance greets you the moment you step aboard. 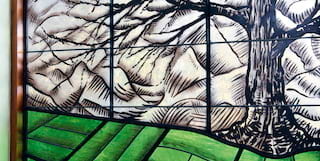 Inspired by Dublin’s architecture, the train’s iconic interior vies for attention against the scenery outside. Each shift of the day brings another unforgettable fine dining experience. Gaze out to ancient castles, spot rare wildlife, sample world-class malts or order some local oysters—you’ve all the time in the world. 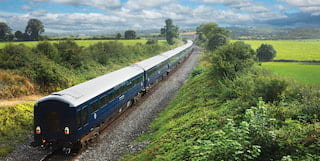 In early 2015, Belmond purchased 10 carriages and a locomotive and set out to create an entirely unique adventure. After finessing the mechanical engineering, the carriages were taken to Brodie’s in Kilmarnock, Scotland, to be painted a signature midnight blue with silver livery. 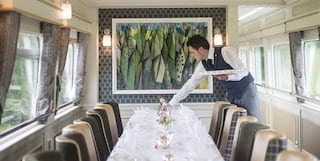 Back across the Irish Sea in County Antrim, a team of 40 skilled craftsmen undertook 35,000 hours of work to make the interiors. Reflecting the rich Georgian architecture of Dublin, all furnishings were locally sourced. Hand-crafted stone counters are from Dublin, while wool-blend carpets are from Ulster. Our symbol of the Celtic knot can be found in all the small details, and each carriage features the tartan of its namesake county. Each day promises a new adventure with a range of sensational excursions. 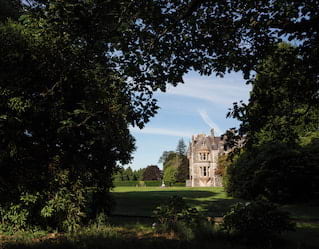 Delve into the country’s rich history with tours to Blarney Castle and Ashford Castle. Feel the thriving culture of Galway or the tranquility of old-world Waterford. 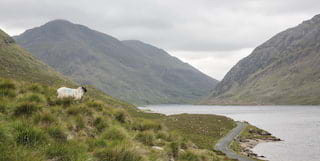 Be swept up in the ethereal natural beauty of Connemara National Park after a morning of falconry. Savour an authentic taste of the country with an interactive tour at the Jameson Experience. 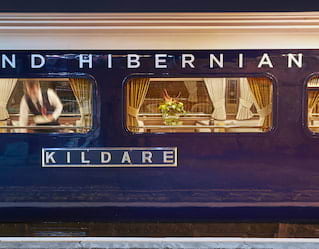 On Belmond Grand Hibernian, memorable moments are never in short supply.